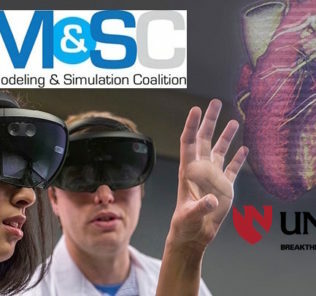 Last week HealthySim attended the National Modeling & Simulation Coalition (NM&SC) annual conference at the University of Nebraska Medical Center (UNMC), where we got a sneak peak of some of the innovative simulation and teaching technologies being used as a prototype in anticipation of the opening of the Dr. Edwin Davis & Dorothy Balbach Davis Global Center for Advanced Interprofessional Learning (Davis Global Center) in Summer of 2019. 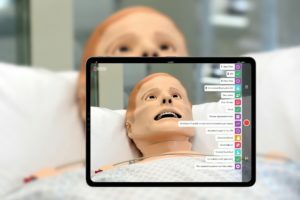 Today we are sharing that sneak peek into iEXCEL as well as an advanced educational training video wall, 3D visualization tools, VR Innovation Academy, federal level biocontainment training facilities, mobile sim trucks and more! The new Global Davis will serve as the headquarters for iEXCEL. This multi-level, 191,884 gross square-foot clinical simulation facility is suggested to open Summer 2019 on the University of Nebraska Medical Center campus in Omaha. The National Center for Health Security and Biopreparedness will occupy an entire level, and will benefit from the simulation and visualization resources throughout the building. 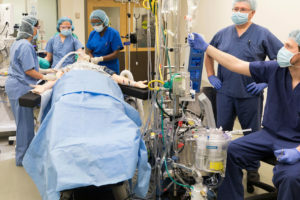 Housing a wide range of simulation and visualization technologies, the Davis Global Center will form the hub of a statewide network on interconnected simulation centers for the professional development of healthcare providers. These conjoined centers will promote experiential development of health care research endeavors that are made possible by advanced modeling, simulation and visualization technologies, like the ones covered below. Learn more about the space and the recent NM&SC conference through our recent article “National Modeling & Simulation Coalition 2018 Meeting Opens at UNMC iEXCEL“. Augmented and Virtual Reality (AR/VR) are among the fastest growing sectors of our economy. These technologies are spreading far beyond the gaming and entertainment worlds into business, education and beyond, where they are being used to train employees, educate students and are being applied to health care. Partnering with EON Reality, UNMC offers an amazing VR Innovation Academy opportunity for highly motivated students with an aptitude for developing creative digital content. The inaugural year began on June 4th, 2018 when the EON Reality VR Innovation Academy (VRIA) started to provide 16 weeks of theoretical and practical training and continues with 30 weeks of project-based training. 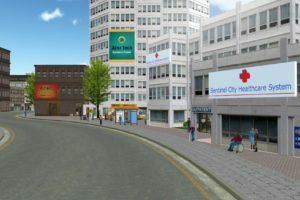 The learners are developing skills to create Augmented & Virtual Reality applications for many diverse fields, such as health care, architecture, and product visualization. The course requirs a one-year commitment to training through, learning from experts in the field of AR/VR and developing and enhancing skills as the project teams (alongside the same AR/VR experts) work on real-world projects from varied market segments. Dr. Jeffrey Gold, Chancellor for UNMC / UNO, explained that the hope would be the future expanded visualization workforce of iEXCEL could start with the pool from this talented VR Innovation Academy cohort. Supporting the community, building innovations, and training a future workforce sounds good to us! The iEXCEL Visualization Hub (VizHub) is currently located in the Michael F. Sorrell Center for Health Science Education and adjacent to the Sorrell Clinical Simulation Lab. The iEXCEL VizHub is equipped with 2D/3D and AR/VR technologies. Early acquisition of these technologies helps educators, learners and researchers begin the journey into visualization and prepares them for the opportunities available when the Davis Global Center opens. Putting on active steroscopic glasses enabled us to check out the 3D CADWall, an interactive and collaborative, multi-channel 3D high-resolution display wall designed to enhance learning and research through virtual immersive reality environments — allowing users to view high-definition images in 3D and learn new skills. Users can manipulate images of the human body such as cells and organs to increase understanding. The smaller 3D iBench versions enable for easy, fast and reliable interactions with virtual objects and environments. This stereoscopic 3D system is intuitive and responsive to the user’s actions, and it can display the most realistic 3D objects. EON Reality supported the software development of the 3D CADWall, with the hardware being supplied by Barco. Bill Glass, Director of Visualization & Technology for iEXCEL, and his team are working on developing custom healthcare educational content for these systems to benefit UNMC’s students, faculty, and staff. 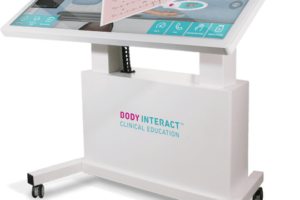 UNMC will be utilizing a mobile and smaller version of the EON Ibench shown above, which is a full-body standalone display solution that enables easy, fast, and reliable real-time interactions with virtual objects and environments. The stereoscopic 3D system allows for intuitive, real-time interaction on a bright 72″ x 45″ HD stereoscopic screen that is responsive to the user’s actions and can display the most realistic 3D objects or full virtual environment. The system includes high-end 3D software that enables easy conversion of 3D data, scenario creation, the ability to create advanced interactivity, and supports numerous CAD and 3D model formats as well as content from the EON Experience portal. Fully integrated solution with high-end graphics mobile workstation, rear projected active 3D projector, wand interaction device, software, and glasses included. Runs from a workstation computer equipped with a NVIDIA Quadro graphics card. Full six degree of freedom motion tracking for 3D perspective viewing and interaction. Can be extended with multi-user remote collaboration via EON Coliseum. Lightweight active trackable 3D eyewear for viewing comfort. Access to thousands of applications with EON Experience player. EON Reality considers itself among the world leaders in Virtual Reality (VR) and Augmented Reality (AR) based knowledge transfer for industry and education. EON Reality’s success is tied to its belief that knowledge is a human right and should be available, accessible, and affordable for every human on the planet. To carry this out, EON Reality, since 1999, has developed the de-facto standard for Augmented Reality and Virtual Reality based knowledge transfer software that supports devices from mobile phones to large immersive domes. EON Reality’s global app development network, with twenty-two locations worldwide, has created the world’s leading AR/VR library for knowledge transfer with over 8,000 applications. Over 40 million people worldwide have downloaded these applications. Learn more about EON Reality and the Innovation Academy on their website! This very responsive Interactive Digital iWall is a 2D curved wall that consists of 12 touch screens, which enables new ways of thinking and allows users to present content in real time, transforming collaboration and communication. Allowing multiple learners to engage with learning materials in a visual, immediate, and engaging way all while working with an audience or remote learners with such speed, intuitive design and accuracy was a great experience. Learn more on the MultiTaction website! This was the first animated video wall we’ve experienced that really worked well in real time! Developed to improve collaboration, socialize ideas and educate employees and clients, MultiTaction products like the Canvus are designed to improve productivity and accelerate business processes as employees can work together with teams and clients to develop and circulate new ideas. Virtual Canvas: Create a virtual canvas with enormous amounts of space. The virtual canvas combines the simplicity of traditional whiteboard with the flexibility of the digital medium. Zoom in, to study minute details, then zoom out to get an overview of the digital workspace. Global Sharing in Real Time: With the use of MT Canvus server, MT Canvus installations, -laptops and -desktop PCs can share the same digital canvases anywhere in the world. With our incredibly fast client/server architecture changes in one location are mirrored to other locations instantly. 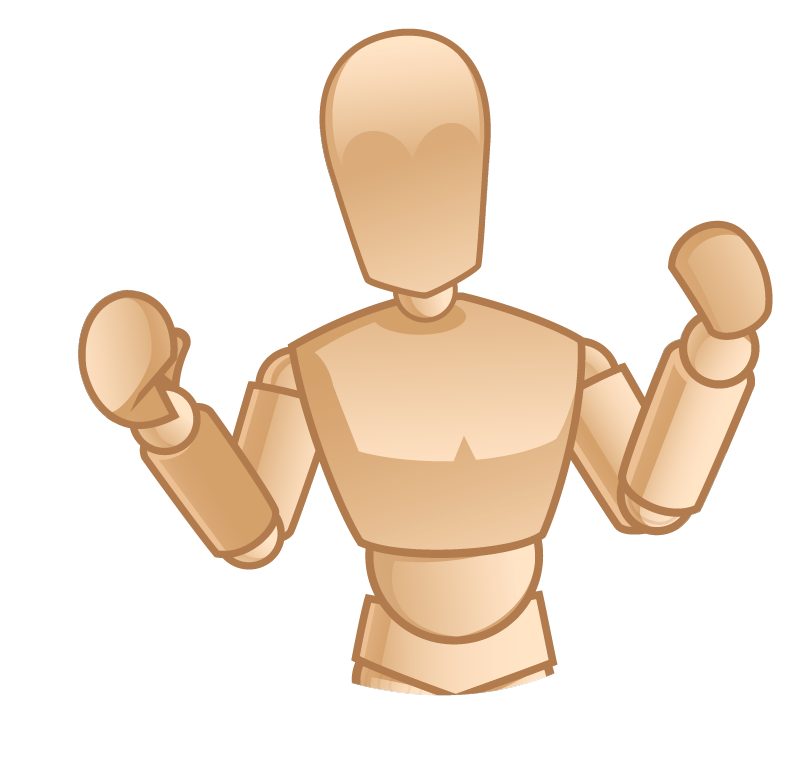 Fluent Interaction: Behind the scenes, MT Canvus has the power of a modern graphics engine. This makes all interactions quick and intuitive – no need to wait for the menus to open or the workspace to move.  Rich Media: Embed rich media files – pictures, videos or PDFs into the digital canvases. You can stack the objects together, or use tables to organize data. For making quick sketches or more elaborate plans, MT Canvus supports annotation with pens. And if you use the superb MultiTaction touchscreens, you can even use erasers, making the whole experience one step more intuitive. Collaborative Sharing: MT Canvus from MultiTaction enables companies to embrace the Bring Your Own Device (BYOD) trendby sharing content onto the interactive walls. With seamless integration acrossPCs, smart devices and the interactive displays, users can easily save and access the content at any time. AVI-SPL provided the backbone to the audiovisual systems design and purchasing for UNMC’s new Fred & Pamela Buffett Cancer Center as well as the soon to be opened Davis Global Center. AVI-SPL is a global business partner providing AV and UC technology solutions and award-winning managed services to create vibrant, collaborative experiences and transformative innovations. With the industry’s most certified experts, AVI-SPL’s highly-trained team works hand-in-hand with organizations worldwide to strategize, design, deploy, manage and support AV and UC solutions that improve business outcomes through enhanced employee and customer experiences. Learn more about AVI-SPL on their website! UNMC’s Rural Health 2030 Task Force recently released its “Rural Health 2030: 2018-2019 Action Plan.” The plan details how UNMC, its partners, and rural Nebraskans can together shape a new vision for a healthy rural future. The action plan identifies timely priorities related to rural education and workforce preparation, rural health education and delivery models, the use of emerging technologies, rural health research, and maximizing our organizational structure to guide such action. Marty Fattig, CEO of Nemaha County Hospital in Auburn, said he believes that there will be “tremendous disruption in the delivery of health care across the nation in the next few years,” and having a plan in place will help in dealing with the significant changes ahead. “The challenge in rural areas is to determine how we can continue to provide high-quality health care to our residents in the midst of this disruption,” Fattig said. “This plan addresses issues that are important to those of us providing rural health care, and UNMC is the perfect organization to lead this effort. UNMC has a presence across the entire state, which helps them understand the challenges faced by rural health care providers. At the NM&SC event we got to take a closer look at one of their four awesome Simulation in Motion-Nebraska (SIM-NE) trucks. The program is designed to bring critically needed training to out-state Emergency Medical Services (EMS) providers and Critical Access Hospitals. The simulation labs are 44 foot trucks with two simulation spaces: an emergency room and an ambulance module. 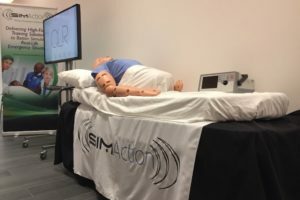 Each mobile simulation lab is staffed by licensed, experienced healthcare professionals and educators and will provide a realistic, yet safe and relaxed learning environment. In order to better serve the state, these mobile simulation units are based in Norfolk, Lincoln, Kearney, & Scottsbluff and travel to local communities for training. Each includes high-fidelity patient simulators, audiovisual recording debriefing systems, and realistic clinical environments. Learn more about the SIM-NE Mobile program on the UNMC website. Learn more about all these wonderful technologies on the iEXCEL website!